This last Friday British Prime Minister Theresa May failed in her latest quest to push a third attempt of her unpopular Brexit divorce deal through Parliament. This followed on the heels of the Parliament failing to pass a majority for any other way forward. Meanwhile, the European Union's response was to declare that the most likely scenario is now for a no-deal Brexit that would see the world's fifth largest economy crashing out of the world's largest trading block and export market. If the situation sounds grim, this is because it increasingly is. With only a few days left until the April 12th deadline for the U.K. to crash out of the EU, you should be taking urgent steps to protect your investment and retirement portfolios against this kind of a dangerous Black Swan Event. A no-deal Brexit could crush markets and your investments as well. This is why gold makes sense in an IRA. You need to urgently acquire some IRA-approved gold before such an event potentially occurs next week. You should be earnestly looking today at Top 5 gold coins for investors while you still can lock in today's gold prices. What Did Last Week's Votes Determine? Another desperate week of Parliamentary indecision ensued last week. The British legislation voted on Wednesday against a series of eight alternative options to Prime Minister May's Brexit deal. The results of the vote revealed what many had feared — that there is not a clear majority support in British Parliament for any alternative arrangement to the deal struck by Theresa May and the EU negotiating team over the last two and a half years. Even though leaving the block without a deal on April 12 was one of the defeated motions, participants continuously forget that this remains the default pre-arranged option in the absence of an agreed upon deal approved by Parliament. Other options voted down included remaining in a customs union with the block, holding a second referendum on the Brexit deal, and revoking the article 50 Brexit altogether. Parliament's lack of decision on the issue is nothing new. But something important has changed in the last week. In light of the third failure of the Prime Minister's deal going through Parliament, the EU has shifted its stance to preferring a No-Deal Brexit to a long extension to the deadline and another year of uncertainty on the black hole issue. This is where the considerable danger now lies— the the block will simply force the British to tumble out on April 12th in less than two weeks' time. In desperate times like these, desperate measures become considered. Prime Minister May attempted to bring on board more MPs in her own ruling Conservative Party on Wednesday when she told them that if they passed her “Withdrawal Agreement” then she would resign as prime minister. This is something that did bring several prominent Brexiteers around including Boris Johnson and Jacob Rees-Mogg. Unfortunately for her, it was still not enough, as she lost the third attempt by more than 55 votes. What Does This Mean For Brexit? This week, Parliament is scheduled to try some more indicative votes in an effort to get behind an alternative to the default no-deal and the prime minister's deal. However, the results of any decisions they may come to are non-binding. May has already staunchly pledged that she will not implement any of them that cross her own party's red lines and manifesto in the last election. The problem is that this is not at all entirely up to the United Kingdom. An increasingly frustrated and angry senior negotiating partner in the European Union weighed in on their take if May can not get this deal through this week. Previously they had been willing to grant a year long extension to Britain if it would participate in upcoming EU parliamentary elections on May 26th. Their position has hardened and changed significantly since Friday. What Happens Next On The British Side? If by some miracle, the prime minister were able to get her deal through in a likely fourth meaningful vote this week, then all would be well, except the country would be plunged into still more uncertainty. Prime Minister May leaving office means a hotly contested struggle for leadership of the Conservative Party and the prize of prime minister. It also greatly increases the chances for an early snap election being called. This of course leaves the EU's key position and voice out of the equation. More distressing for European and world markets still are EU claims that it is now ready for such a disruption. They believe they are prepared for a no-deal shock since their contingency plans are now in place. Officials do agree that there will be shorter term disruptions from it, but many of the national governments have decided that it is better to get the Brexit over with than to keep prolonging the uncertainty. France in particular has stated that it has great reluctance to provide any longer extensions in response to requests from the British prime minister even if she agrees to holding elections for EU Parliament. Such a longer extension is now being looked at negatively and as a problem, especially since Brexit is already disrupting EU business, per the unnamed diplomat. What About The UK Economy? A lengthier delay in Brexit along with a protracted leadership battle would equate to still more damaging uncertainty for British business. They have consistently criticized what they see as a government without any coherent strategy on Brexit. Trouble for the British economy ultimately means trouble for the other 27 EU national economies. World economic growth is already slowing down significantly. Today is the time to take concrete action. You can now store some of your gold in top offshore storage locations for IRA gold. Look into Gold IRA rollover rules while you still can. 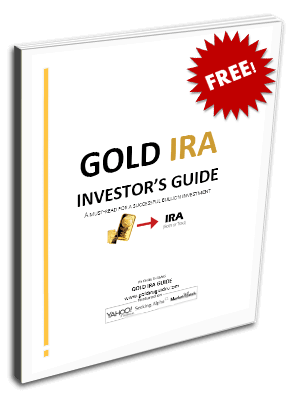 And do not forget to check out the Top Gold IRA Companies and Bullion dealers before you buy. W.D. Crowder is an American published author. His background and areas of expertise include history, economics, expatriate living, international relations, investments and personal finance. A widely read and top of his class graduate of Stetson University, he obtained his bachelor of arts degree in History with minors in Latin American Studies and International Relations and a special emphasis in Economics. He was President of his Phi Alpha Theta (National History Honors Fraternity) Stetson University chapter and a Phi Beta Kappa (National Honors Fraternity) member.